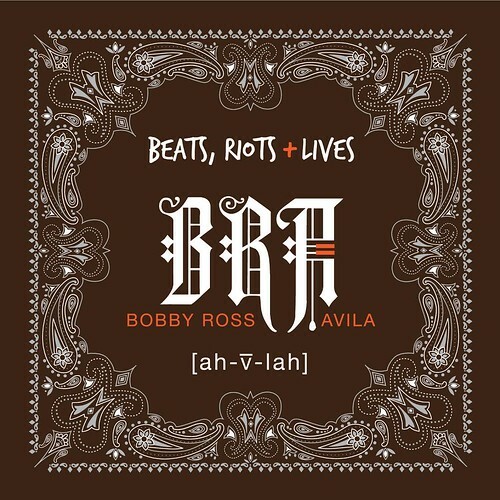 Available for now for free on Audiomack, Beats, Riots + Lives from Bobby Ross Avila is a knocking hip-hop/R&B EP with a driving funk undercurrent. Known for his work on Chaka Kahn’s Grammy Award winning album Funk This, Avila calls on hip hop heavyweights RZA and KXNG CROOKED of Slaughterhouse for appearances on this latest project. This entry was posted in Hip Hop, Mixtapes/Albums and tagged Beats Riots + Lives, Bobby Ross Avila, California, Crooked I, KXNG CROOKED, RZA. Bookmark the permalink.